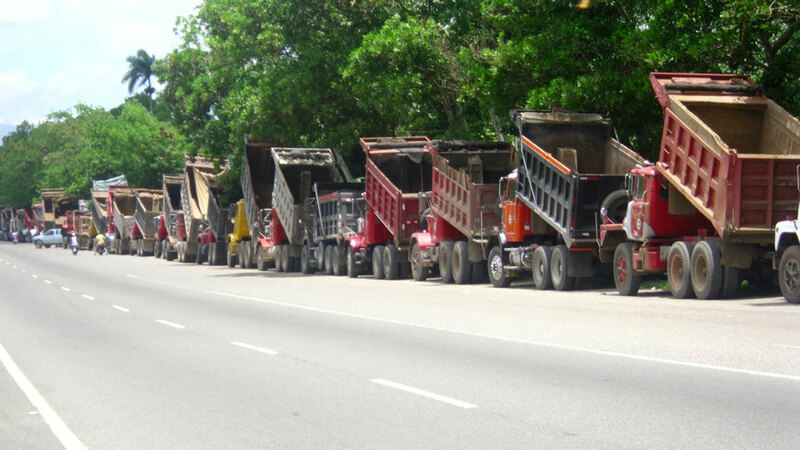 Hundreds of truckers across Colombia went on strike on Monday over freight rates and labor rights despite the president and the head of the truckers union saying the strike is uncalled for. The strike began at midnight after truckers failed to reach an agreement with the federal government over freight rates and retirement conditions. The Association of Road Haulage (ATC) referred to the action as part of a “national crusade for trucking dignity,” citing the need for: improved payment rates; the industry to be recognized as high-risk; that toll prices be reduced; that drivers be able to retire after twenty years of service; and that they receive rebates for fuel usage in line with international prices. However, the Colombian Truckers Association (ACC), one of the country’s four major trucking unions, came out against the strike. “We do not endorse or participate in the strike that is being called. Indeed, we consider that these actions will only harm the country and ourselves,” said union chief Jaime Moreno. The move follows a government decision on Sunday to reduce the price of fuel by 300 pesos. Colombia, despite being a large producer of oil, has been dogged by high prices at the pump, with some citizens smuggling fuel into the country from Venezuela to save money. Unrest has been a leitmotif of Santos’ presidency. Just this weekend miners across the country staged a large scale protest for the third time since Santos took office last August.